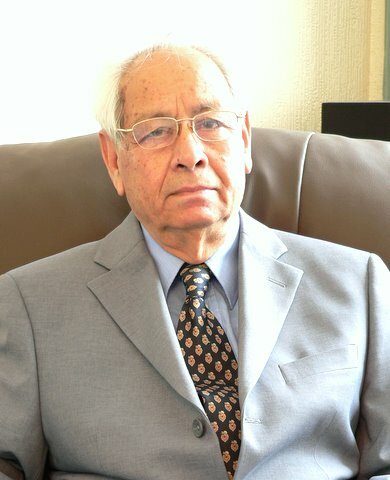 Born in Bareilly UP (India) in 1935. Listening to music started around 1943, mainly AIR Delhi, and later Radio Ceylon for film music. A big start was listening to his grandfather’s wind up gramophone records from his collection which included songs of Kamla Jharia. Although not able to appreciate such good singing at the time, Suraiya and Noorjehan were the choice singers for Mr. Ahmad. Due to extensive listening in the evenings and going to films, study took the back seat for him and he did not manage to get high grades in school exams. Watched all the good films till 1951. Moved to Karachi (Pakistan) after partition in 1951. Listening to music from AIR Delhi and Radio Ceylon continued during his Engineering Degree course. Purchased 78 RPM New Theatres and non film records from second hand stalls and record shops in Karachi during the student days using pocket money. During his stay in Karachi with his nephew Sohail Ahmad, he got him interested in the likes of Saigal, Pankaj and Juthika Roy. After graduating in Engineering from Karachi University he moved to Europe in 1961, and settled in UK. Joined London University and obtained MSc Engineering degree. Interest in music continued on arrival in Europe and with his Indian trained ears could immediately recognise a good singer in French or Italian language and this musical interest has continued to this day along with listening to his Indian music collection. His nephew Sohail Ahmad became a music collector in Karachi from 1961 and while Mr. Ahmad was in UK he get Cassettes of his choice songs and singers. Sohail Ahmad has arguably become the biggest collector of Indian music in Pakistan and knew the other great collector of music Allah Dad Khan from Peshawer and they exchanged rare music. Mr. Ahmad has his family in England, France and Spain. While in Europe, he developed interest in Opera since 1962, and has a large collection of music starting from Caruso. Other singers that he admires and collects songs of are, Umm Kulthum (Egypt) and Edith Piaf (French) among others. His favourite single musical Instrument is the Church Organ. He travels extensively in Europe to attend Opera and Organ Recitals as he is now retired from my Engineering career. In his opinion, it is a bit futile to compare Indian music with European music. With regard to vocal music which interests him most, he surmises that the Opera singers world wide have to have a voice with a large frequency range, and a big voice is required, to project in a large Opera house as no sound amplification is allowed. Sadly this rules out small good voices.This is not the case in Indian music as most of the repertoire is based on recorded music.. The 5 or more great genre of Indian music of interest to him, such as Bhajans, Ghazals, Geets, Naats and Qawwalis among others are unique and unparalleled anywhere in the world. The great singers now and from the past do not enjoy the worldwide fame and fortune that the Opera singers do, because the Indian languages do not compare with English language in its world scope. The treasury of Indian music from the likes of Saigal Kamla Jharia needs to be digitized and preserved for the coming generations.